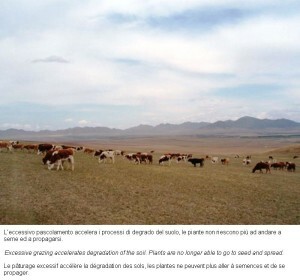 Desertification is a worldwide phenomenon and affects about 41% of the Earth’s landmass. In this areas lives over one billion poor or vulnerable people. 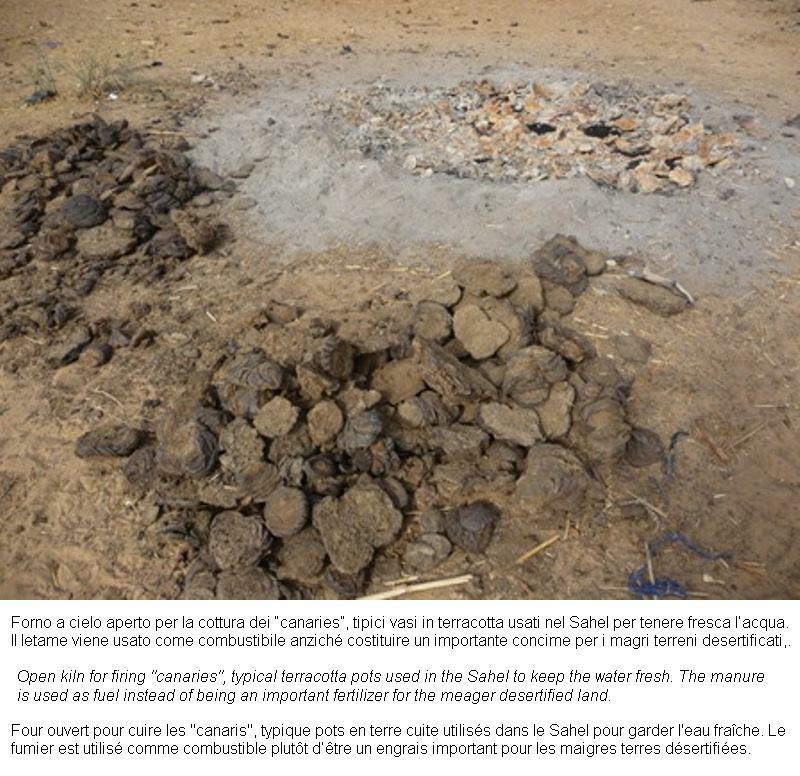 The Unccd United Nations Convention to Combact Desertification defines desertification as “land degradation in arid, semi arid and dry as a result of several factors, including climate change and human activities”. Natural deserts constitute one of many ecosystems on Earth. By contrast the process of desertification involves a gradual depletion of soil productivity and biodiversity of which man is the main responsible. 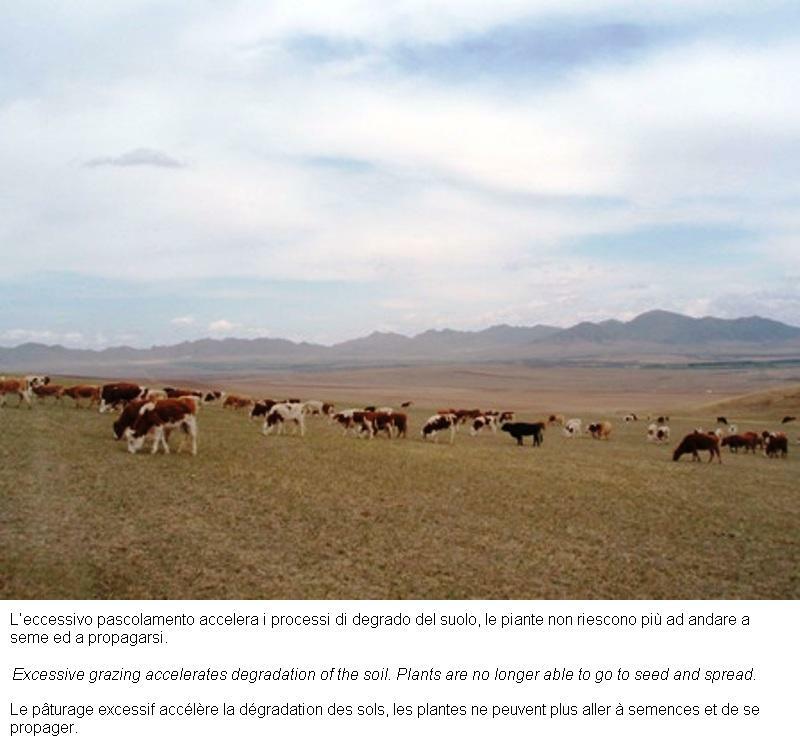 The process of desertification increases by 12 million hectares per year and covers all continents. In Africa alone, 70% of agricultural land (5.2 million hectares) is already degraded and threatened by desertification. This situation affects 250 million people of which 218 million suffer from hunger. 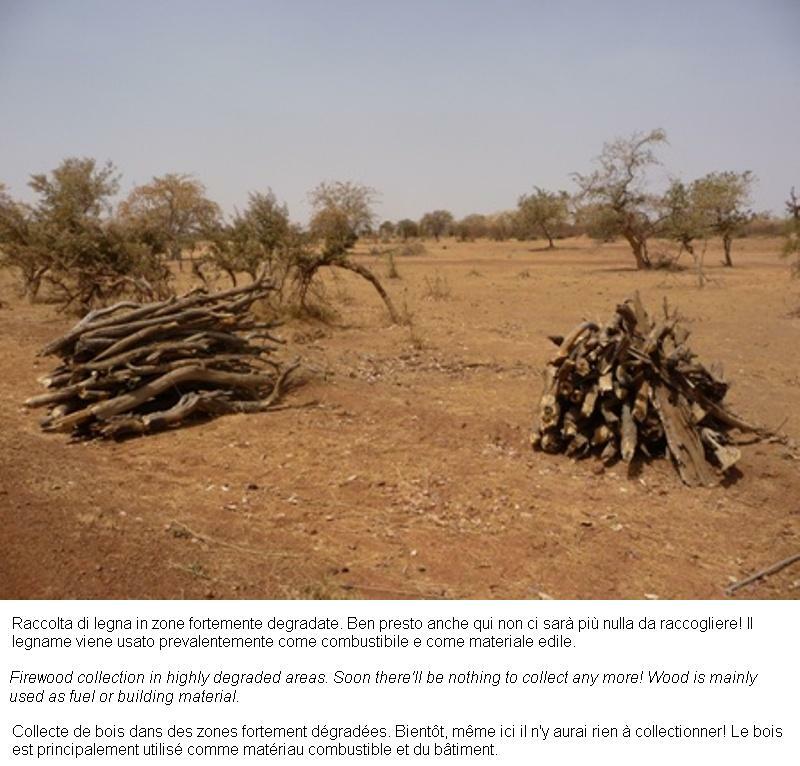 In sub-sahelian zone 750 000 hectares of woods and forests are lost every year ( FAO 2005 data). 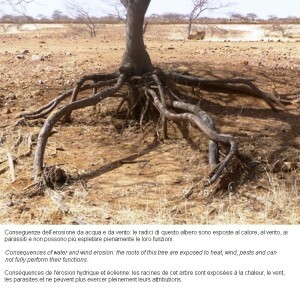 The causes of desertification are found in the complex interaction of several factors that are simply listed here without a qualitative description of the processes. 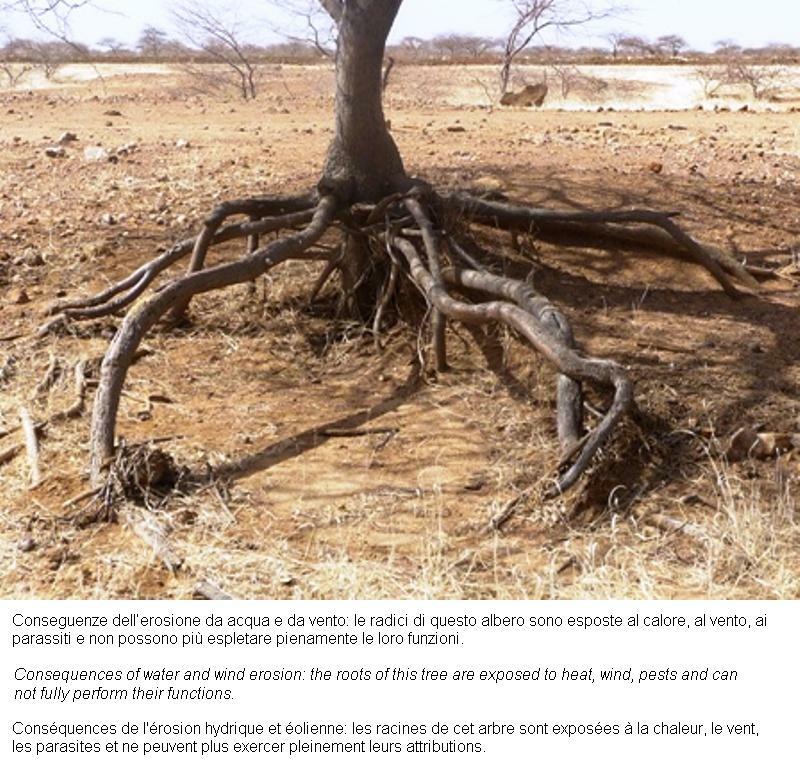 The consequences of desertification briefly listed here are also due to the extansion and the aggravation of the phenomenon.